It is not easy to move to your new home especially in the wintry weather. Homeowners should be more aware of their surroundings during this season than any other time of year to avoid slowing down the moving process. Here are some tips to keep you on track and prepare against the snow or harsh weather. Keep the weather in check: Being aware of the altering weather conditions can really help during your move. Use a weather app when you’re checking the weather on a weekly basis before the move and then every day during the move. Stay updated on your local traffic news:Be aware of any road closures that may take place on your route. Stay prepared to reach out to your moving company and don’t hesitate to express your concerns if there will be a delay in your move. Double-Pack Electronics And Fragile Items:The cold weather is bad for your electronics. Your glass items can get brittle too in low temperatures. Double-pack electronics and keep them in a warmer environment. For instance, they can be secured in the cabin of the car. As for glass, double-wrap or add more packaging material to the moving boxes to better protect the items. Have Winter Essentials Ready:Additional towels, blankets, clothing, and even spare boots will all come handy during winter moves. Stock up these items in your car so you can easily reach them to warm up. Keep Your Calm And Stay Flexible: Anything can happen during winter weather even if you feel you’ve prepared for the worst. In extreme cases, you may have to bunk down and wait out the storm or sometimes, a sudden freeze could bring your entire move to a halt. In such cases, try to communicate with the movers. It will keep everyone aware of the situation and what must be done once the worst has passed. Try to keep calm even if your move is delayed and always remember that your safety comes before the move. You don’t have to shoulder the entire weight of responsibility during your move. Always consider reaching out to a professional moving service Hampstead NH. They will help you make your move smooth and cost-efficient. On a lookout for a moving service Hampstead NH? 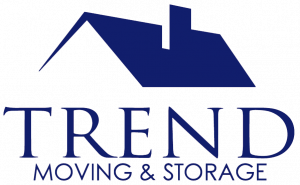 Trend Moving can help you carry out a seamless move at the most affordable price. You can rely on our experienced service at any time. Also, reach us out for moving company Manchester NH.